Monitor a core component of LifeStarter, gives you accurate projections to help you navigate and monitor your life's most important events. Even better when you reach them. Goals gives you the ability to visualize and instantly see your financial goals and how your tracking to achieve them. Not knowing what questions to ask can be frustrating, so we'll provide you with a roadmap and give you the information you need to feel confident. No bias here. We're only here for you. If you're not paying for a service, you (and your information) are being sold to someone else. That's no bueno. We believe in keeping this relationship simple - just you and us. Keeping perspective is half the battle. 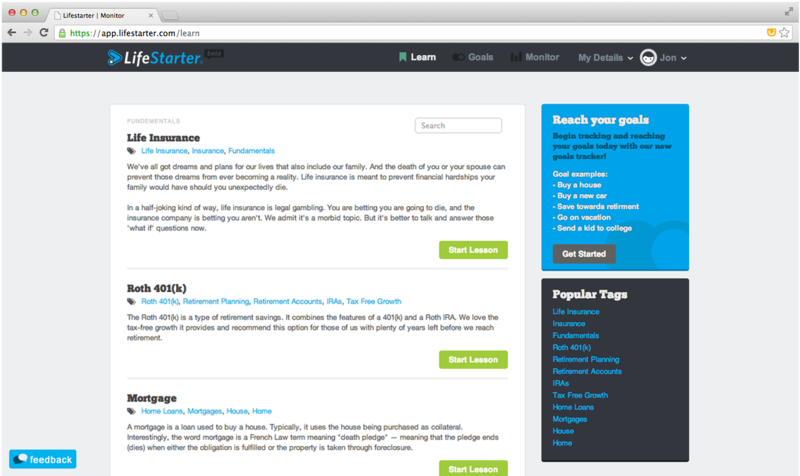 With our tools you can see how your money is doing at any time and how it is helping you reach your life goals. 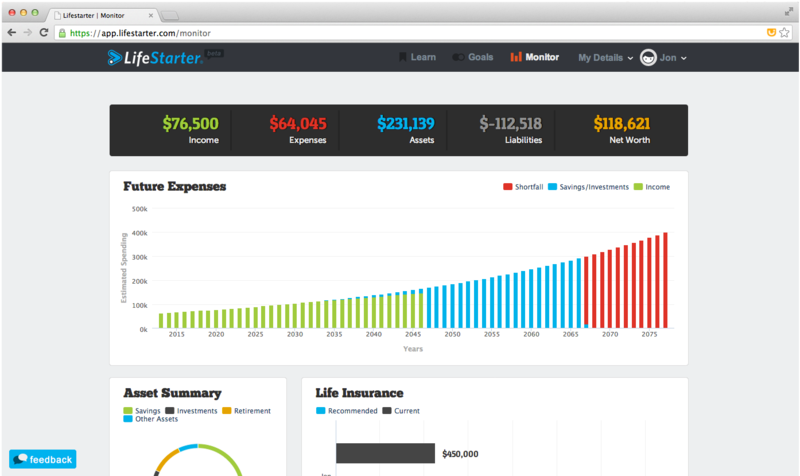 Instantly see your financial goals and how your tracking to acheive them. 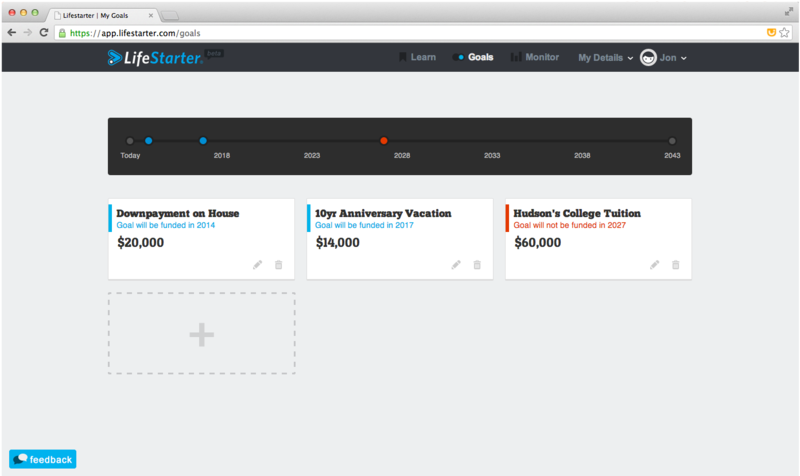 With our goals feature, you'll know which goals are funded and which ones need your attention.